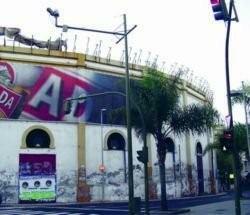 Tenerife’s historic bull ring is under threat of being pulled down for a major redevelopment scheme. The city council and the owners of the property have reached an agreement for the historic building and the surrounding land. Architects have been invited to submit ideas for the regeneration scheme in the next few weeks and the entries will be on display July 4th, 5th and 6th in the García Sanabria Park. Residents will be able to vote for their favourite idea and their opinion will be taken into account when the judges meet to choose the winning project. The final decision will be announced on the 7th July. The ring may be partially or totally demolished or the whole of the facade could remain, it depends entirely on the ingenuity of the architects. The demolition is opposed by traditionalists who have already mobilised to block plans on websites if the structure is not retained. The old famous bull ring hasn’t been used for its original purpose for decades. Latterly it hosted the Carnival Queen competition until audiences and the Queens’ dresses became too large and in the 90s it held only the occasional concert and political rally.